Calvin Johnson is a go for today against the Browns at Cleveland. It’s huge for the Detroit Lions who are looking for their second road win and to boost their record to 4-2 to match the Bears who had a Thursday night win over the New York Giants. The surprising Browns have won three straight, but their task just got much more difficult with Johnson in the Lions’ line-up. 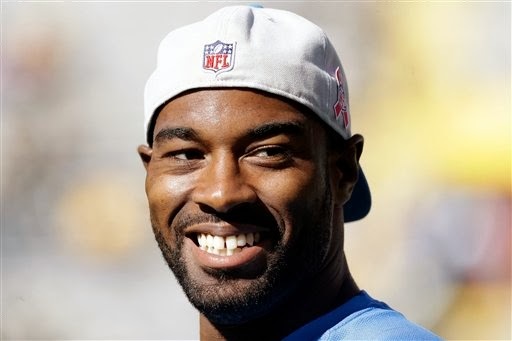 Calvin Johnson practiced Wednesday through Friday on a limited basis. While coach Jim Schwartz is typically mum on injuries he did say that Johnson had improved each day. Johnson tested his knee working short routes and cuts prior to Friday’s practice and appeared to be fine. Inactives for the Lions are: TE Tony Scheffler (concussion), RB Theo Riddick (concussion), RT Jason Fox (knee), WR Nate Burleson (broken forearm), QB Kellen Moore, OL Leroy Harris and CB Jonte Green.